Absolut is 'hustling' bars and bartenders to consider the small ways they can be more sustainable with the launch of The Green Hustle. Believing that sustainability is a key principle at the heart of any progressive society, Absolut believe producers just like itself have a duty to act responsibly and sustainably. Inviting everyone across the globe to get involved, The Green Hustle encourages fun and easy hacks around better practices and a better drinks industry, to create a healthier planet. Officially unveiled at this year’s Athens Bar Show, attending guests will be educated via a packed itinerary of Absolut seminars and workshops on creative ways to reuse organic waste, how to make ice stretch further and the ways bars around the world can link up with local green initiatives to create urban gardens. Anti-waste punk pop up Trash Tiki and Svartklubb By Fäviken bartender Hampus Thunholm, will also be talking about other small ways to make the drinks industry more sustainable. Prior to the show, Absolut will send a ‘Hustle Buggy’ around the city to collect discarded limes, lemons and grapefruits for demonstrations showing the easy ways to extend the fruit’s lifecycle and create drinks at the bar from these collected fruits. To close the loop on waste, a local organisation will take care of the organic waste and make a compost for their garden just outside of Athens city. Additionally, Global Advocacy Marketing Manager Bex Almqvist and Global Brand Ambassador Rico Dynan will talk about how all the ways Absolut has become the most energy efficient distillery in the world. Driven by a passion for progression in an industry where it can make a difference, The Green Hustle marks yet another initiative Absolut is pioneering to minimise its impact on the environment. 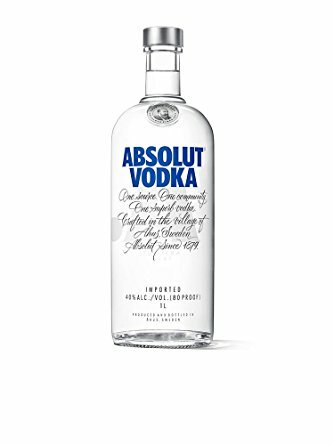 Absolut is one of the most energy-efficient distilleries’ in the world*. Its distillery is completely C02 neutral, and it uses 70% less energy to distil a litre of alcohol than the average distillery. To help bartenders and bar owners worldwide get on board and do their bit, Absolut will introduce a collaborative, open-source online resource and forum filled with inspiring ideas, shout-outs, facts, recipes and downloadable assets. To learn more and take part, Absolut will be launching The Green Hustle digital platform next week. Happy hustling!